Pick Analysis: Jones went from relative unknown (outside Ohio) to superstar to backup during his tumultuous Buckeyes career. He signed with Ohio State a semester early after a stellar at career powerhouse Glenville (coached by Ted Ginn, Sr.), redshirted in 2012 and played just 39 plays from scrimmage in 2013 (1-3 passing, 17-128, one TD rushing). But when Braxton Miller and J.T. Barrett were lost to injury before and during the 2015 season, respectively, it was Jones’ turn to shine. He came in for Barrett to finish off Michigan, beat down Wisconsin in the Big Ten Championship Game, and then led the Buckeyes to a national title a month later. Jones finished the year completing 60.0 percent of his throws for 860 yards and seven touchdowns against two interceptions, as well as rushing for 296 yards and a score. Head Coach Urban Meyer named Jones the starter after a heated battle between he and Barrett, but Jones' inconsistency caused him to lose the job to Barrett halfway through the season (eight starts, 1,460 passing yards, 62.5 percent on completions, eight TD, five INT; 193 yards, two TD rushing). With Barrett returning for another year in 2016, Jones decided to enter the NFL draft as an early entrant rather than finishing his career at another college. 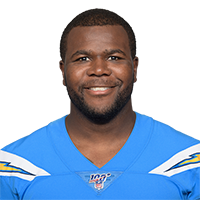 Published: March 10, 2016 at 05:21 p.m.
Watch Ohio St. QB Cardale Jones work out at the 2016 NFL Scouting Combine.